How Co-Parenting Could Work for Heidi Klum’s Family, and yours.. They are parents to 4 children together, two boys and two girls, ranging in age from 2 to 7 years old. These children are used to two parents who literally travel the world separately and together on a seemingly non-stop basis. There homes are inMexicoandLos Angeles. His music recording and promotion work takes place all over the globe, but primarily in theUK. They each have busy successful worldwide careers. So, what is their plan for an amicable process that protects the well-being of their children? Co-parenting is a deeper commitment to continuing to consult with each other on an ongoing basis on the details of each child’s life. It involves lots of telephone calls and in person conversations, plenty of passed notes and emails – all focused on the status of the children. Co-parents are interested in more than “I took Jimmy to the dentist last week, you owe me $10.” Co-parents have a lot of the same conversation post divorce as they may have had during marriage. They just skip the non-kid conversations. Chances are that the reason a couple divorces has very little to do with either party’s parenting skills. I frequently hear clients say, “he’s a great Dad, he just didn’t know how to be a husband” (or vice versa). Co-parenting can empower the parents, and more importantly the children, to enjoy all the benefits of two good parents doing their best without the interference of a bad marriage. What We Love: In the midst of making one of the most difficult decisions of their lives; Heidi and Seal are prioritizing their children’s needs. In doing so, they might make themselves happier also. Author Sharon Oberst DeFalaPosted on January 23, 2012 January 24, 2012 Categories Celebrity Divorce, Child Custody, Post DivorceTags Divorce, Heidi Klum, SealLeave a comment on How Co-Parenting Could Work for Heidi Klum’s Family, and yours.. Despite his forays into the twitterverse, apparently Ashton Kutcher forgot to read my tweet (@luvyrdivorce) about Eva Longoria from last spring… when Eva Longoria tried to avoid her own pre-nuptial agreement. To wit: Pre nuptial agreements are frequently used in marriages when the parties want a clean record of who brought what to the marriage and what each party may expect to keep at the end of the marriage. Apparently, Longoria’s prenup with Tony Parker included a clause that she would not seek alimony if they were to divorce. By avoiding her pre-nup, Longoria ran the risk of exposing her own assets to redistribution…the move goes to a deeper understanding of the motivations of divorcing parties. No matter what causes a marriage to break down and no matter how many years the breakdown may take, once a married or divorcing party becomes romantically involved outside the marriage, all other bets are off. This tends to enrage the forsaken spouse and otherwise amicable divorces quickly become unbalanced blood baths. 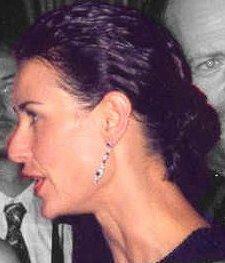 Demi Moore had a successful career (she was the first actress to reach the $10 million salary mark, and during the early 1990s she was the highest paid actress in Hollywood), a successful divorce from Bruce Willis (with 3 beautiful daughters they still co-parent), and a substantial bank account when she married Kutcher (16 years her junior) 6 years ago. She was smart to protect herself by insisting on a prenuptial agreement. Now, by trying to open their pre nup, she runs the risk of her own assets being attacked. 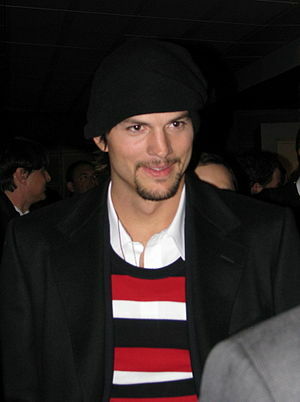 Yet, it is worth it to her to begin a fight with Kutcher over assets as a way of punishing him for his reported infidelities. Nothing hurts a potentially friendly divorce as badly as one (or several) extra marital affair(s). What We Love: Patience. Divorce does not last forever. But an angry spouse can make it feel like forever. Is Divorce James Marsden’s Best Acting Role? James Marsden is known for his movie & TV roles including the first 3 X-Men movies, and for his roles in other commercially successful films such as Hop, Superman Returns, Hairspray, Enchanted, The Box, and 27 Dresses. He married actress Lisa Linde on July 22, 2000. Lisa Linde played Ali McIntyre on Days of Our Lives in 1998 and 1999. Marsden and Linde have two children together, Jack, 10, and Mary, 6. Linde filed for divorce on September 23, 2011. Linde is reportedly asking for spousal support and joint custody. Marsden’s parents divorced when he was 9. Maybe his personal experience from that side of divorce will help his kids as they go through their own parents’ divorce. Even if his marriage with their mom isn’t going to continue, his relationship with his children obviously will. By showing their children that divorce can be done with mutual respect, dignity, and even the occasional family outing; they are teaching their children to be resilient in the face of adversity. By modeling appropriate adult behavior, Marsden and Linde may be helping create a generation of happily well-adjusted people. Granted, Linde and Marsden are actors. Maybe their “great friends” show is nothing more than an act. But if it benefits their children, it may well be the most important role either of them ever plays. What We Love: Putting the extra effort into keeping our kids’ lives as normal as possible may actually help kids feel better about something they cannot control. Author Sharon Oberst DeFalaPosted on October 10, 2011 Categories Celebrity Divorce, DivorceTags Celebrity Divorce, Children and Divorce, Days of Our Lives, Divorce, Emotions and Divorce, Family Law, James Marsden, Linde, Lisa Linde, Marsden, Superman ReturnsLeave a comment on Is Divorce James Marsden’s Best Acting Role? 47 year old Melissa Gilbert filed for divorce this week from her second husband, Bruce Boxleitner, after 16 years of marriage. The couple has a 15 year old son together, Michael (named for Gilbert’s former “Little House on the Prairie” Co-Star, Michael Landon). Gilbert’s filing referenced the fact that the couple has been separated since January, 2011. She cites irretrievable breakdown (legalese for a “No fault” divorce), and looks for joint custody, no alimony. All apparently very non-emotional stuff. But in Gilbert’s March announcement of the separation which led to this divorce, she says “… we have 4 incredible sons together.” And you begin to get a sense the amount of love and energy that went into this relationship. Bruce has two sons from his first marriage with actress Kathryn Holcomb (Sam & Lee ages 31 & 26). Melissa has a son from her first marriage to Bo Brinkman (22 year old Dakota). Melissa is clearly equally proud of every single one of them. Which is not a simple feat (as anyone who has ever read/or lived a fairy tale with a step-mother in it can attest). Although Boxleitner and Gilbert had initially met in the 1980s on a “Battle of the Network Stars,” they didn’t date until 1992. Shortly after Gilbert’s first divorce, she was set up on a date with Bruce by none other than his ex-wife, actress Kathryn Holcomb. Melissa may be the ultimate step-mother candidate. 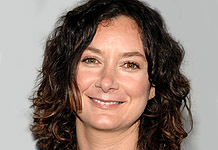 An adopted child herself, she helped pave the way for her younger brother Jonathon Gilbert to join the cast of “Little House on the Prairie”, and was a role model for her mother’s adopted daughter Sara Gilbert who became an actress after being impressed by Melissa’s star on the Hollywood Walk of Fame. Gilbert also served two terms as president of the Screen Actors’ Guild. It seems she is a natural at mentoring and nurturing others. Maybe Kathryn Holcomb had a sense that her sons’ dad would re-marry some actress, and it might as well be one she can trust. Or maybe it was all a happy accident. But, it is clear that her sons have spent the past 16 years of their lives with a step mother who counts them as her own. What We Love: Divorce does not have to mean animosity and re-marriage can bring even more love into the lives of the children involved. We just have to let it. What do these things have in common: Q’Viva – The Chosen, The Miami Dolphins, Kohl’s newest clothing line, Emme Maribel Muñiz, and Maximilian “Max” David Muñiz? On July 16 the couple made a joint announcement in civil, even downright social, tones that they had agreed to divorce and had agreed on almost everything. This is a very public way to end a seven year marriage begun by a wedding where the guests did not know it was a wedding, and not just an afternoon party, until they were already there. The marriage may have begun in some secrecy, but it is ending publicly and with a very clear message that both parties are in control of their own divorce. As the list emerges of “everything” they have agreed upon, it becomes quite understandable why they want clear control and agreements. First, and of course of most importance are their three year old fraternal twins, Emme and Max Muniz. J Lo and Anthony both apparently recognize and appreciate the impact their split will have on their young children. Maintaining a united front will make it easier for each of them to be a solo parent as the need arises. Then there is the “joint” clothing line announced last November by Kohl’s department stores. According to New York Magazine, the department store has already released information that the fashion lines will move forward as a men’s line by Anthony and a Women’s line by Lopez. Each party has signed an individual contract which they each still plan to fulfill. The television show in which two of the biggest Latin Pop Stars in the U.S.travel Latin America looking for talented musicians, Q’Viva – The Chosen, is also still a go, according to msn.com. The genuine enthusiasm by each of them on the show’s promotional website: www.qvivathechosen.com makes it apparent why they need to keep their world from crumbling, even as they dissolve the marriage at the center of it all. These are megastars who have built a world together. Just because their marriage has ended does not mean they need to destroy all the good that has come from their partnership. What We Love: These talented artists are each known for their passionate performances, but are able to set their passions aside for the bigger picture here. Their children, their careers, and the careers of others are all intimately tied-up together here. Their true passion might just be preserving the greater good they have jointly created. Will marriage matter for Owen Wilson’s baby? 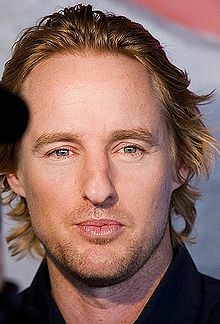 Owen Wilson’s 5 month old son Robert and Robert’s mother Jade Duell are relocating to New York while Wilson remains in California, according to reports on Hollybaby.com, PerezHilton.com and popeater.com. The parents have apparently known each other for a little more than a year, having met on an airplane. Wilson announced that he was going to be a father 4 days before Robert was born. In interviews he was excited to be a father. But he has now reportedly told friends and media that he was not ready for a stay-at-home relationship with Robert’s mother; so better to move on honestly than cheat behind her back. Stick-it-out or let-it-go decisions aside, how will Robert be affected by the fact that his parents never married each other? Luckily for the baby, marriage no longer determines paternity our country. Either birth certificates or paternity tests do. If Wilson was voluntarily listed on the child’s birth certificate he is presumed to be the father with all of the attendant legal responsibilities of fatherhood. The States (New York and California) cannot force him to stay home every night with the mom nor visit his son every weekend. But they can make sure thatWilson’s earning capacity benefits his child. In this case that is some substantial earning capacity. Even if Wilson does not make the same amount of money every year of his career (some movies are more successful than others), courts will determine an average amount that represents his annual earning capacity and assign a percentage of that as child support to be paid on Robert’s behalf, probably to the mother while she is raising him. Although nothing says the parties are required to submit their break-up to a court, since they were never married, Duell would be wise to do so. She and Wilson may have reached any agreement they want for financial and visitation matters, and it may seem fair or even generous to her right now. But as the reality of being home with a baby continues to grow – and as Wilson’s sense of obligation continues to fade – these arrangements may cease to be as attractive to the parties. The benefit of bringing the matter to court now, while they are (presumably) amicable, is to give their personal agreement the enforceability of a Judge’s decree. Failing to make a payment to a “baby momma” across the country may be easier to do if there is no possibility of jail time attached to it. Likewise, as an unwed father,Wilson has no presumed rights in the life of his child. If the parties have reached an amicable agreement about the amount of time Wilson will enjoy the company of his baby, or how the mom plans to raise him, or any other pertinent questions, they would be easier to enforce with a legally binding agreement on the court records. What We Love: Robert’s rights are protected, not matter what his parents decide to do with (or without) each other. Author Sharon Oberst DeFalaPosted on July 5, 2011 Categories Celebrity Divorce, Child Custody, Child Support, Owen WilsonTags Celebrity Divorce, Child Custody, Child support, Children and Divorce, Emotions and Divorce, Family, Father, Home, Minor Children, Mother, Owen Wilson, Parenting, RelationshipsLeave a comment on Will marriage matter for Owen Wilson’s baby? What’s with all the greedy old men? 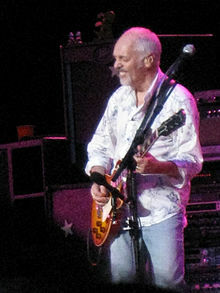 Sixty-one year old Peter Frampton has filed for divorce from his 3rd wife, Christina Elfers. The couple separated on New Year ’s Eve 2010 after being married for 15 years. Frampton’s filing grants custodial custody of their teenaged daughter to her mother and requests joint rights of legal custody. The cause of the breakdown of the marriage is cited as “irretrievable breakdown.” All very clean and neat. Until you do a little background research on Peter Frampton. According to the Huffington Post http://www.huffingtonpost.com/natalie-pace/peter-frampton-lost-at-lo_b_884214.html, Frampton’s three divorces are not what has put him in the legal history books for the state of New York, it was his successful suit to prevent having to pay palimony to former live-in girlfriend Penny McCall in the 1970s. 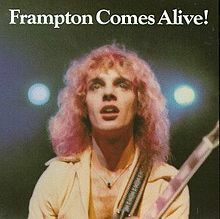 Frampton won that suit, despite evidence of his entire rock-star persona, and thereby some of the success of his breakout album “Frampton Comes Alive” was a direct result of McCall’s work on his behalf. Since filing for divorce from Driggs, after 23 years of marriage, he has frozen all of the company assets, claiming that she and her daughter no longer have the right to make living from the company they helped him found. So here we are again – a celebrity who ignores other people who have helped him gain his success. Except that, in these cases, there is also the romantic interpersonal aspect, not just a business venture, to these relationships. Where a “normal” person might look at this as an opportunity to be generous, recognize that McCall and Driggs were not only critical for financial success and stardom, but also someone with whom they were in love and take the opportunity to be gracious and generous. These celebs have used it as an opportunity to be even greedier, lumping the romantic break-up and the business relationship into one messy ending. 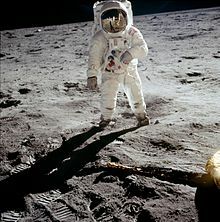 What We Love: Aldrin and Frampton, it turns out, might both be jerks. In a country in which divorce is every person’s legal right, no one has to stay married to a jerk. Whether married 15 years or 23, these women have the right to move out and move on with their lives. Author Sharon Oberst DeFalaPosted on June 28, 2011 Categories Celebrity Divorce, Child Custody, Divorce, PalimonyTags Buzz Aldrin, Divorce, Frampton Comes Alive, Irreconcilable differences, New Year's Eve, New York, New York Supreme Court, Peter FramptonLeave a comment on What’s with all the greedy old men?